BOLETÍN DE ABRIL Manténgase informado sobre eventos y actividades que ocurrirán durante el mes de abril en la escuela de su hijo(a). 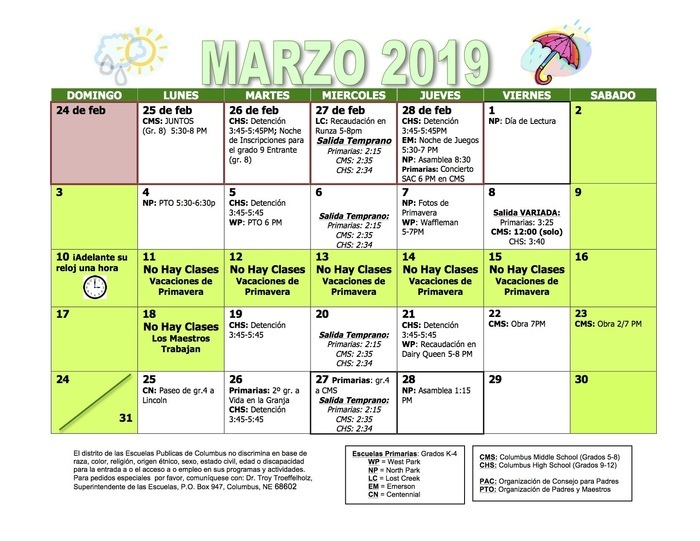 BOLETÍN DE MARZO 2019 Revise el calendario que incluye fechas importantes en las escuelas. Llame si tiene preguntas....esperamos que el calor llegue con ¡el primer día de primavera en marzo! 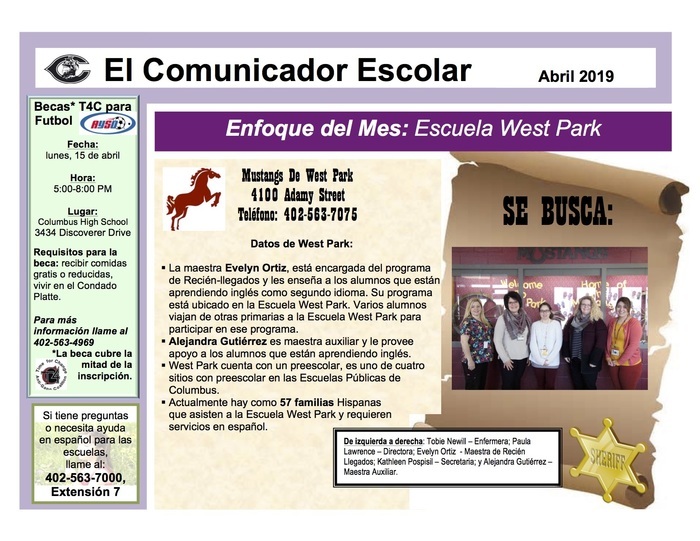 Juntos is a family engagement workshop series for Spanish speaking families with students in 8th grade. This February, 7 families participated. On the last night, families brought delicious food to share and celebrated what they had learned. ¡ATTENTION! ¡ATTENTION! ¡ATTENTION! 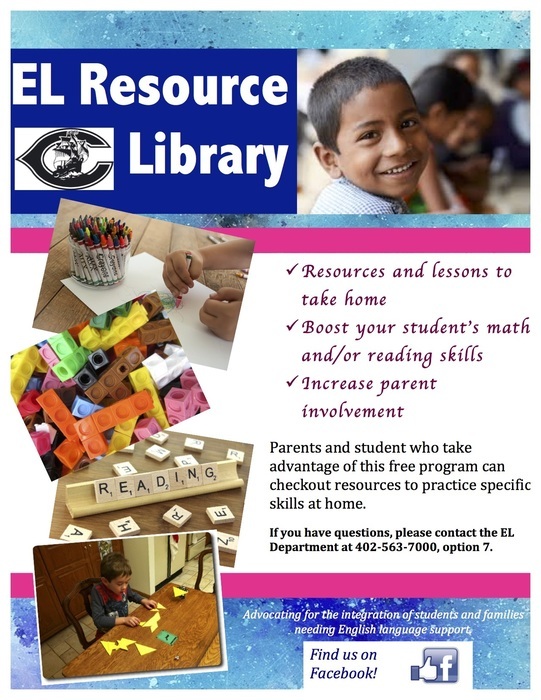 The EL Department has started a Math and Reading Resources that families can check out and take home to boost their student's skills. For more information, please call 402-563-7000, Option 7 (see attached flyer). 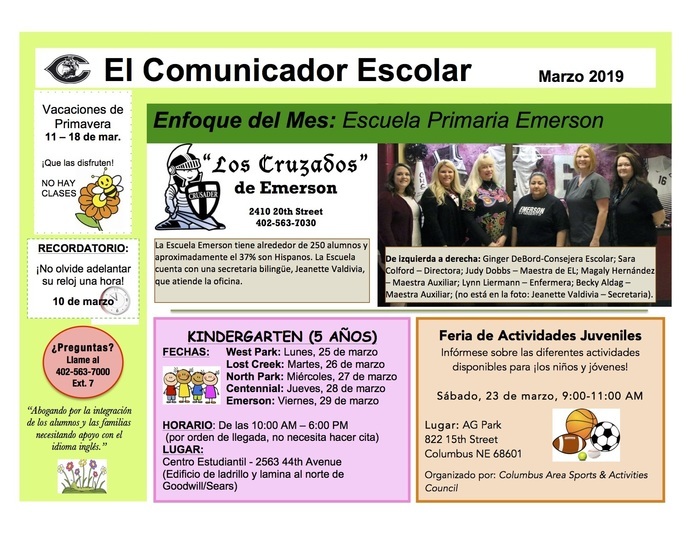 PRESCHOOL REGISTRATION FOR 2019-20 SCHOOL YEAR Preschool registration is taking place from February 4th to March 8th. Appointments are currently being taken to complete the registration. This is only for children who are 4 years old by July 31, 2019. To register for a possible preschool placement, you will need your child’s original birth certificate, your child’s immunization records, and proof of residency within the district. Please call Tami at 563-7000 ext. 12753 to make an appointment for preschool registration. 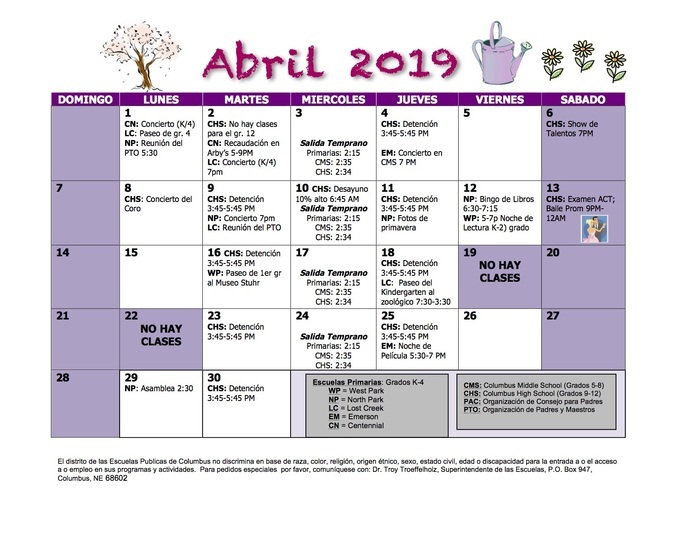 ____________________________________________ INSCRIPCIONES PARA EL PREESCOLAR PARA EL 2019-2020 Las inscripciones para el Preescolar son del 4 de febrero al 8 de marzo. Estamos tomando citas para llenar las inscripciones. Esto es únicamente para los niños que cumplen 4 años de edad antes del 31 de julio, 2019. Para inscribirse para una lugar en el preescolar, usted necesita presentar el acta original de su hijo(a), el registro de vacunas de su hijo(a) y un comprobante de domicilio dentro del distrito. Por favor llámele a Raúl al 563-7000 Ext. 10096 para sacar su cita para las inscripciones del preescolar. 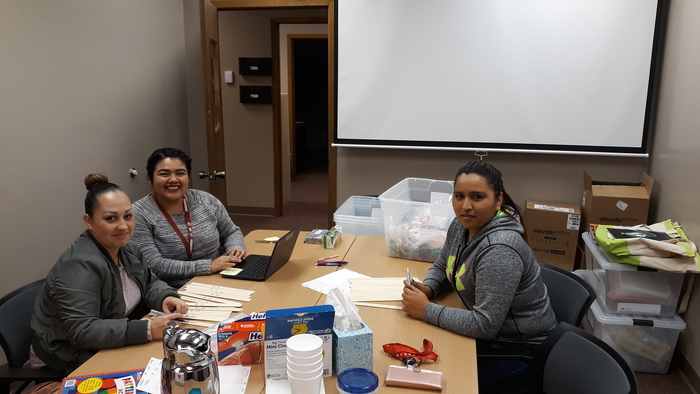 EL Office Assistant and parent volunteers create bilingual resource packs.